The Mosaic Film Experience uses the platform of digital media to provide students with an opportunity to tell their unique stories and equip them with the critical thinking, collaborative and creative skills necessary for career preparedness. The Mosaic Event: An annual interactive experience that provides students access to industry professionals through creative, career-inspiring workshops. Mosaic Mobile: An annual mobile film competition where films are shot, edited and entered on mobile devices. Mosaic Community: Events ranging from afterschool curriculum to industry guest speakers and film screenings. 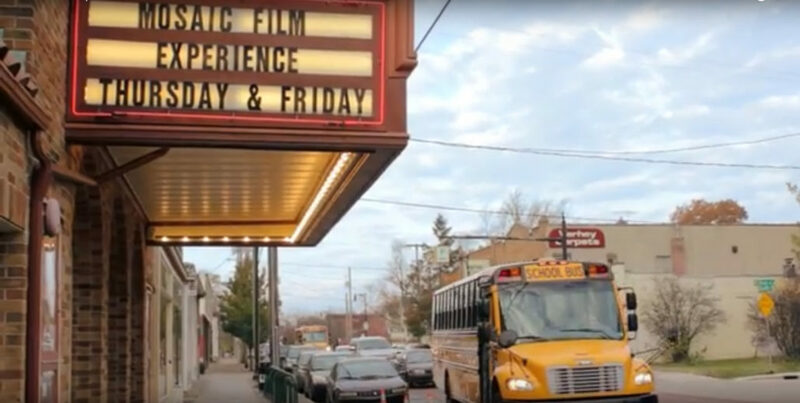 Mosaic Film Experience began in 2012 in Grand Rapids, Michigan, as a film festival for commercial and jury-selected works focusing on under-told stories, particularly those of social outsiders. A half-day program brought in students who watched a film and then were led through a guided discussion. In 2014, we tightened our youth focus by adding a media literacy curriculum for attending students. In 2015 we changed the festival format, expanding to a full-day event with both large group and workshop programming as well as adding a screening of student-produced, two-minute mobile videos. We went mobile to minimize, as much as possible, any economic barriers to filmmaking, and to encourage students who may never consider picking up a movie camera to tell their story with the resources at hand. Judging by the number and quality of local entries, this new approach was well received. The Mosaic Film Experience is here to provide conversational spaces, media literacy resources and opportunities for diverse youth to tell their own unique stories. 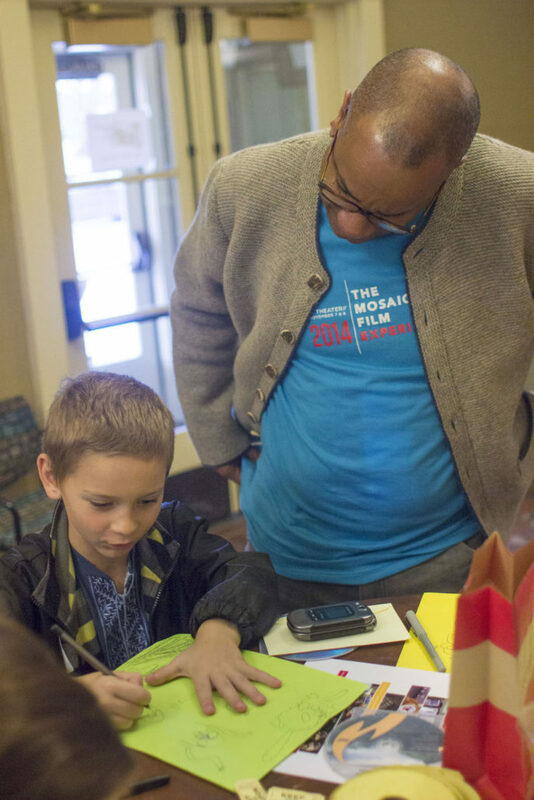 Creating the next generation of storytellers one community at a time. The Mosaic Film Experience exists to equip the next generation of diverse youth with the skills necessary to successfully navigate the world of media culture and understand their role in it while making them aware of career opportunities associated with it that can change their world and ours too. Though Mosaic Film Experience was founded in Grand Rapids, Michigan, the platform is specifically designed to be replicated in any city that hopes to provide its students with conversational spaces, media literacy resources and opportunities for diverse youth to tell their own unique stories. Interested in bringing Mosaic Film Experience to your city? Email info@mosaicfilmexperience.com. Thanks to our strong community partnerships and generous sponsors, we continue to work with teachers and students to help them learn, create and share in this new format. Equal parts competition, festival and educational experience, we’re especially committed to using exposure to the world of digital media as a means to open career horizons for students in urban schools who face career and social headwinds of poverty and race. We’re teaching tomorrow’s content creators to navigate media culture and to use storytelling in their everyday lives – a skill that will help them succeed no matter where their careers take them.